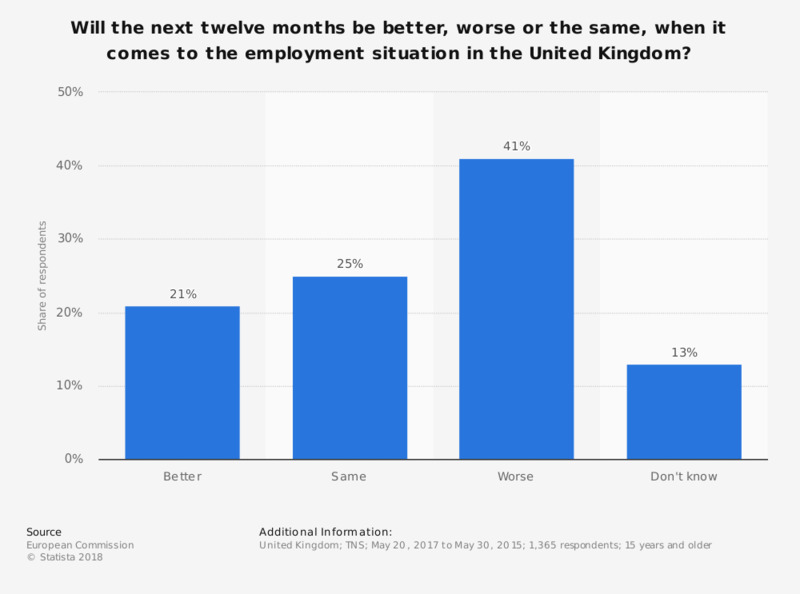 This statistic shows the public perception of the future employment situation in the United Kingdom (UK) in May 2017. Respondents were asked if they thought the situation would get better, worse or stay the same in the next 12 months; 41 percent of the 1,365 surveyed responded with 'worse'. During the survey, this question was posed as follows: "What are your expectations for the next twelve months: will the next twelve months be better. worse or the same, when it comes to...? - The employment situation in the UK"